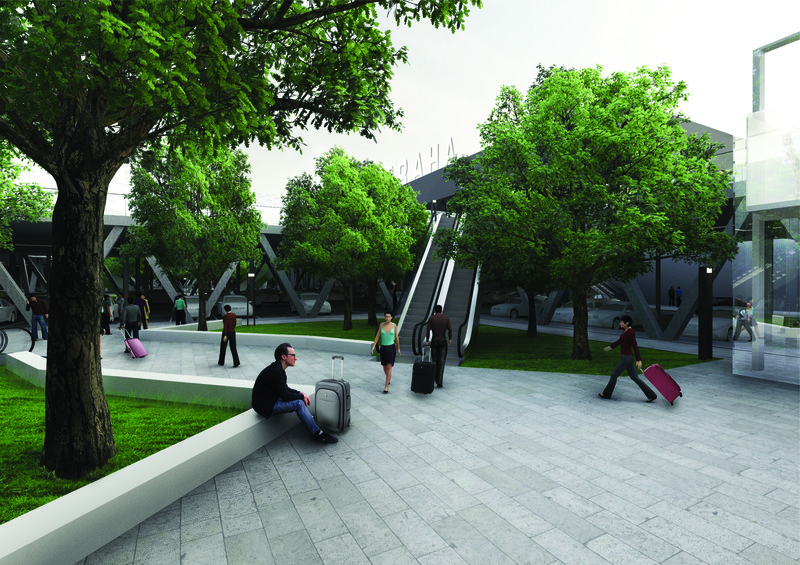 Public spaces in front of Terminals I and II. Simplicity – intelligibility – clarity. This slogan is the ideological principle of designing an overall urban concept based on the creation of a large quiet foreground – a square – between the terminals I and II, which becomes the unambiguous central point of the entire airport, a place where everything literally begins and ends. 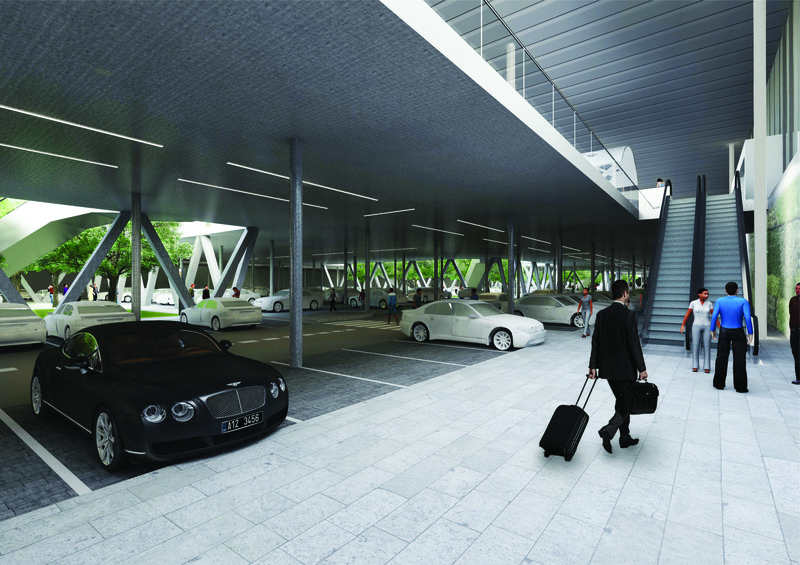 Below this area is a huge covered car park – the entrance hall of the airport, which, with its vast illuminated atrium with mature greenery, connects this impressive space with the upper square. 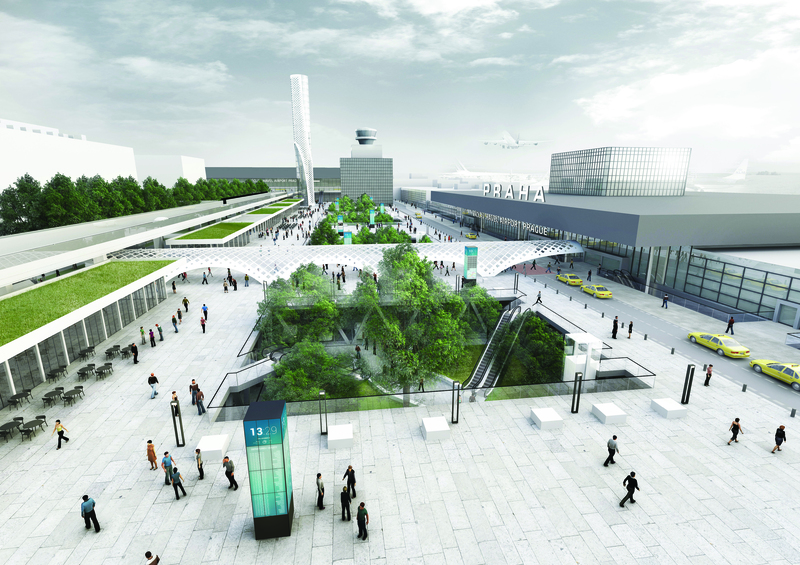 The motto is also the transformation of Aviatická Street into the main thoroughfare – an airport class that is to authoritatively and with dignity absorb all the airport’s car traffic. 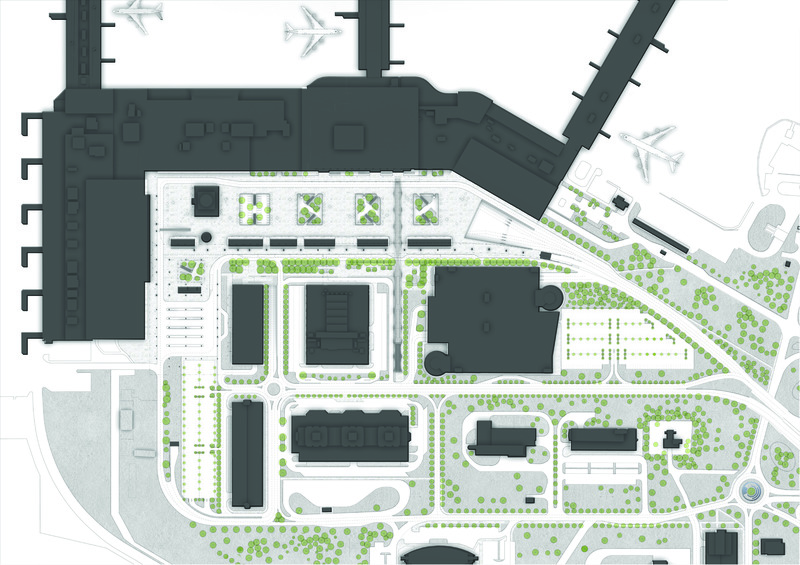 In this way, a dignified and representative public space between the terminals is supposed to act – the foreground. This generous paved square is dedicated to people to meet, welcome, say goodbye, rest, have fun, learn, help, eat and shop. The square is connected by 4 openings – the atrium in its pavement to the lower level parking lot, these atriums also serve as symbols of communication links. From these openings, crowns of mature trees are to grow. The square is lined with a colonnade of shops and services beneath the highway, bringing natural life to the square. 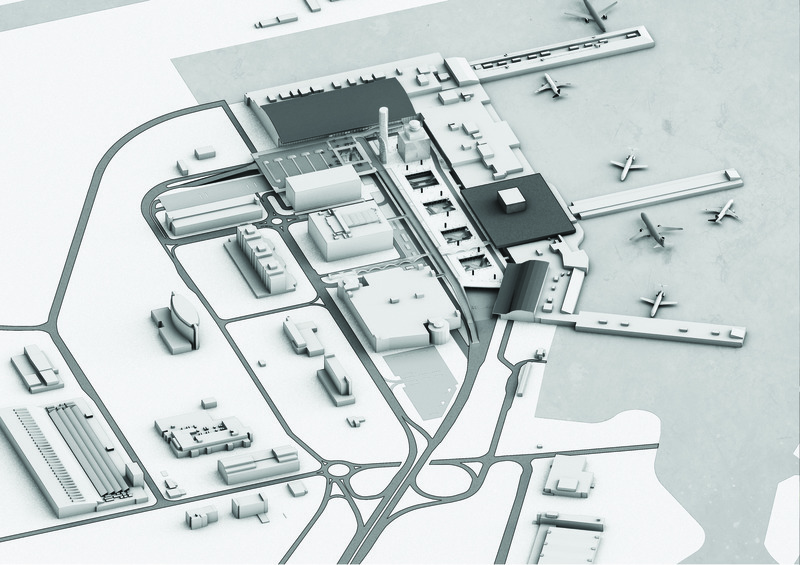 thus a complicated structure of the airport’s transport solution is proposed. The main advantage of the proposal is the sharp separation of individual transport routes and means, including pedestrian routes. Transportation in the pre-space is solved in three levels. 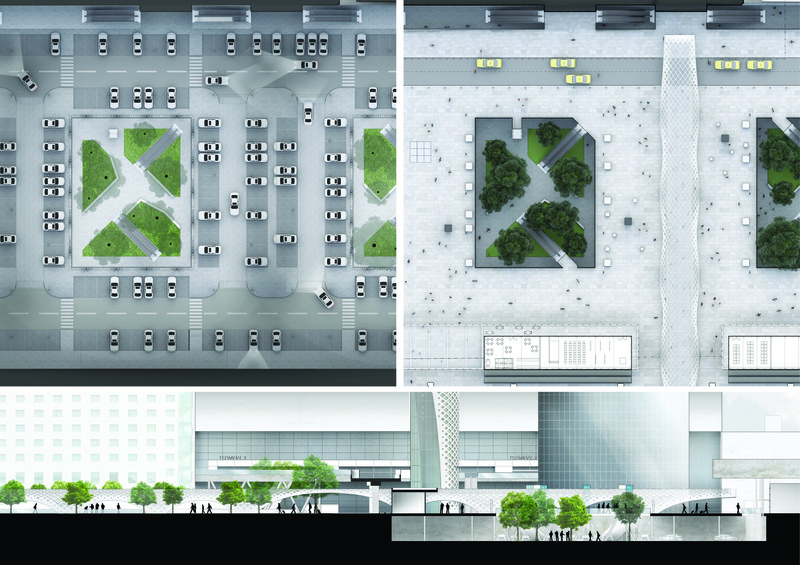 Level 0 (underground parking hall) and Level 2 (elevated road) serve mainly for automobile traffic, while the middle level (square) serves primarily for pedestrian movement. 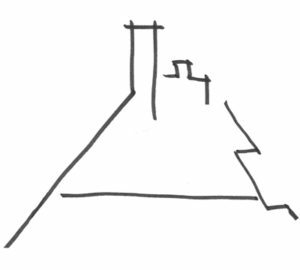 This made the square calm, which becomes a full-fledged dignified foreground of terminals I and II. The movement of pedestrians on the 1st level is concentrated in the shape of a cross and is protected from the weather by its roof and equipped with walkways. The movement of pedestrians from the high-speed station is deliberately guided at the square level, both because of the visual and emotional experiences that they will gain from this because of the revival of the square. One side of the cross is on the junction of the exit escalator from the high-speed station and the main entrance to terminal I. The perpendicular side of the cross is below the elevated road, copying the exit from the bus and heading for Terminal II.